Making CENT$ | Positively Hollywood! This successfully peeked my curiosity about the film’s content, the story that inspired it, and her film making process. I had a moment to sit down with her recently and chat with both her and the film’s writer/lead actress and native American, Tiger Moon. While the story in the film is fiction, it is largely influenced by Tiger’s real life story. 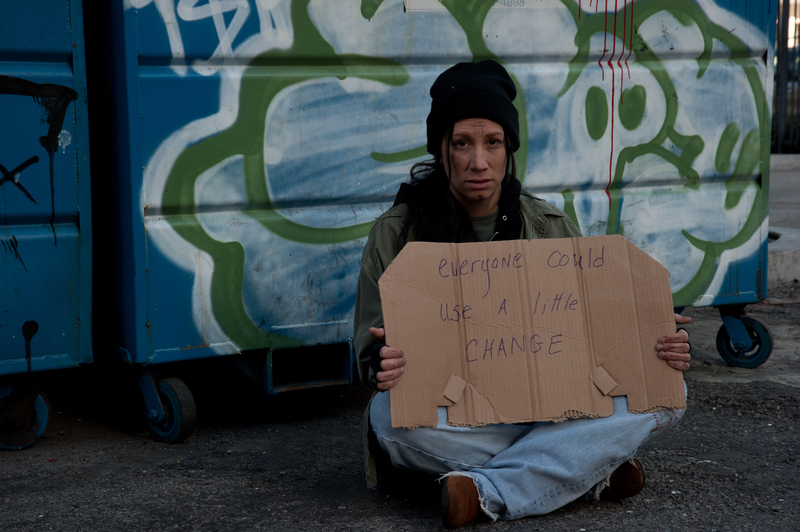 CENT$ is a conscious art film that strives to break stereotypes and humanize homelessness. In order to produce the feature film, the money must first be raised through the project’s Indiegogo campaign. From the Heart Productions graciously offered to be a fiscal sponsor for the film after the concept caught their attention in 2010 when Tiger submitted the treatment to their yearly competition. The great news for you is that your donation is TAX DEDUCTIBLE! I have been told that a donation at any level, even $10-$20 is helpful. Please take a moment to watch the trailer and contribute what you can. This entry was posted in Editorial Blogs, Video Blogs. Bookmark the permalink. Meditation: I’m doing it wrong.